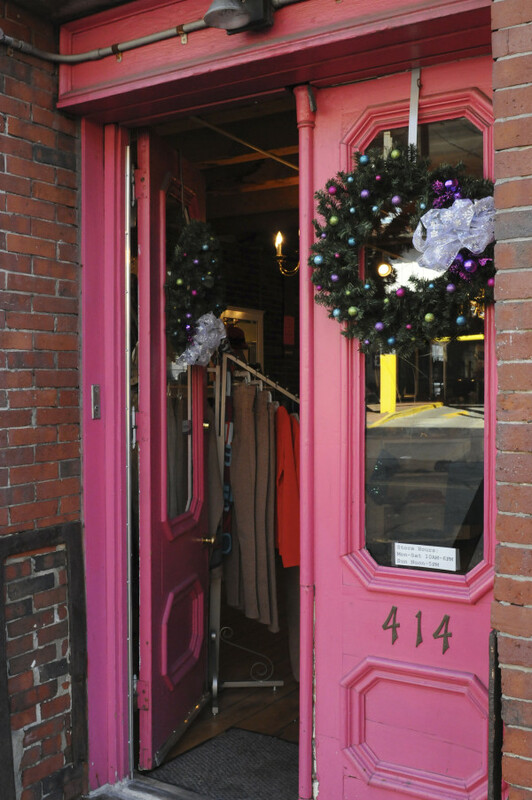 Bright colors and traditional Christmas wreaths beckon shoppers to explore an Old Port store in Portland in this November 2012 file photo. PORTLAND, Maine — The business reviews website Yelp ranked Portland the top city to shop locally for the holidays, based on what it said was an analysis of cities with the highest concentration of highly-rated local businesses where one might find gifts. “Nobody else had a perfect score in that category,” said Hannah Cheesman, a Yelp spokeswoman. Cheesman said the company’s data scientists created a local shopping score, which looked at the percentage of retail businesses in certain categories that were locally owned for cities with more than 20 local businesses. That number was multiplied by the average star rating of businesses in each city to develop the final score. Cheesman said the survey included categories of shopping such as fashion, stationery and toys. The site ranked Portland ahead of Lawrence, Kansas; St. Petersburg, Florida; Asheville, North Carolina; and Santa Cruz, California. Portland beat out other larger cities such as Detroit, Minneapolis, New Orleans, Seattle — and Portland, Oregon. Steff Deschenes, the Maine-based community manager for Yelp, said she wasn’t surprised by Portland’s first-place ranking in the local holiday shopping listings. “We want to support each other and to have that validated in this list, it makes me happy as a lifelong Mainer,” Deschenes said.